The quality of the indoor air in your home or business is perhaps one of the most important aspects of your heating and cooling system. The EPA has concluded that indoor air pollution is one of the top 10 health risks to Americans today. The good news is that there is a solution. At Polar Heating and Air Conditioning we offer a wide variety of products that can clear the air in your home. 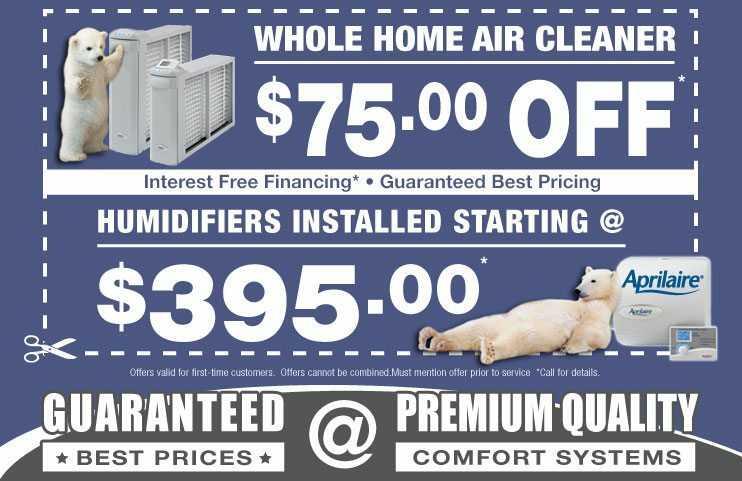 Whether you suffer from allergies, asthma, or you are just concerned about the quality of the air you breathe, we have the perfect solution. The indoor air quality experts at Polar Heating And Air Conditioning can help you achieve the perfect indoor environment in your home or business in Chicago and the suburbs. Our dehumidifiers can help reduce the risk of mold and mildew. Our whole home humidifiers can help you save on heating costs while improving overall comfort. For those who suffer from allergies, a whole house air purifier and cleaner will help you to breathe easier. We even offer UV Germicidal lights that kill up to 95% of all micro-organisms such as viruses, bacteria, mold and more. Combine all of that with our comprehensive duct cleaning service, and you will never have to worry about indoor air pollution in your home or business.